Circa Theatre started life in 1976 after a breakaway group of actors and theatre practitioners decided a new way of producing theatre was required for New Zealand. Enlisting the assistance of others who worked outside of theatre, a new ‘less is more’ model was created and a pared-back theatre space was built in the Ilott Advertising building on the corner of Harris Street and Jervois Quay. 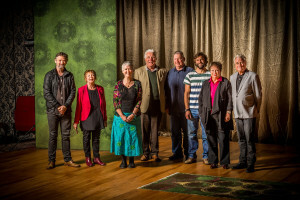 Susan Wilson, founding member of the Circa Council, describes the drive behind those early days: “Those old British dinosaurs occupying the New Zealand professional theatre landscape [of the time] built large administrations, extravagant sets and costumes, and gave focus, as it were, to the cover rather than the book. We set our course away from gigantic self-perpetuating monoliths and worked to pool our resources. Our goal was to dazzle the audience with the sheer excellence of the performance – to present theatre of the highest possible standard – where economy and ingenuity took the place of money. We aimed to keep costs for sets, costumes, lights and management to a minimum so that the rewards could be equally shared by artists and practitioners. Circa Theatre staged its first production – Knuckle by David Hare – in April 1976 and the “lean, mean, hungry machine” that is Circa today was born. In the succeeding years Circa has gained a reputation as one of New Zealand’s liveliest and most innovative theatres. Circa pioneered its own co-operative system, where all available resources are directed towards those who provide the life blood of the theatre – the people involved in mounting each production. This is a system which, in stressing the qualities of commitment and self help, promotes the pursuit of theatre of the highest professional standard. Each production is produced by an individual dramatic partnership; for every play at Circa is run by a Single Venture Partnership (SVP) of actors, the director, designers and, other theatre personnel. This co-operative way of operating has been hugely influential in keeping theatre alive in New Zealand. Overseeing this management of the theatre is the Circa Council. 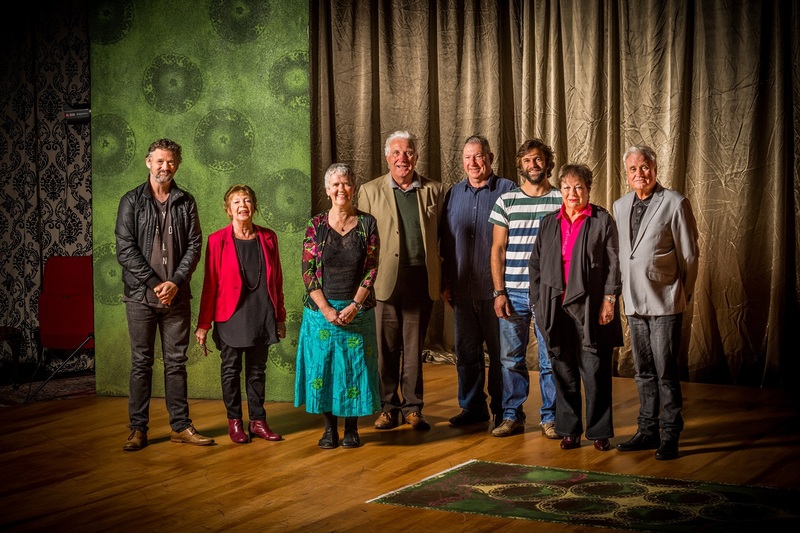 Made up mainly of actors and theatre practitioners who have over their substantial careers, the Circa Council has been hugely influential in shaping New Zealand theatre as we know it. The Council programmes an annual season of the best plays from New Zealand and around the world. It also administrates the Circa Theatre building, runs the Box Office, and administrates each show’s finances on behalf of each Co-operative. In 1987, the Theatre Artists Charitable Trust (TACT) was set up to assist the financial feasibility of keeping a full-time, six day a week theatre in operation. TACT, through the incredible generosity of its sponsors, has distributed over $1 million over its 20-plus years existence to co-operatives at Circa. TACT grants are given at the beginning of the rehearsal period to tide practitioners over until the Box Office takings can be accessed at the end of the production. Over the years our TACT sponsors have shown inspired corporate leadership with their generous support. Not only have they invested in a multitude of important and inspiring works of art, they have also made a career in the professional theatre viable for countless numbers of actors, directors, designers, stage managers and technicians. To each and every one of our TACT sponsors (and funders) we give our heartfelt thanks. Current sponsors are Chapman Tripp, Deloitte, and Creative NZ. Past sponsors include Vodafone, Sovereign, Fujitsu, BP NZ Ltd, BNZ Finance, Ltd, Faye Richwhite, and Norsemann Pacific. In November 1994 Circa moved to its new premises at 1 Taranaki Street, next door to Te Papa. It opened the new Theatre with a stunning production of Tony Kushner’s Angels In America, which won many awards at that year’s Chapman Tripp Wellington Theatre Awards. On behalf of those who work at the theatre, the Circa Council would like to gratefully acknowledge the support of majors sponsors ANZ Bank, BP NZ Ltd, and Fay Richwhite & Co Ltd for their help in making the move possible. The architect for the Theatre as is now stands was Grahame Anderson of Ampersand Architects, with support from concept designs drawn by Grant Tilly. Ian Nicholls created the lighting design and Ian Hull Brown consulted on sound. Every major play performed at Circa Theatre has been carefully documented by Linda Wilson, Circa Council member and resident archivist. If you would like to find our more information on a past production, or inquire about purchasing a copy of Circa’s 20th Anniversary book Circa 1976-1996, please contact Linda via the Box office.